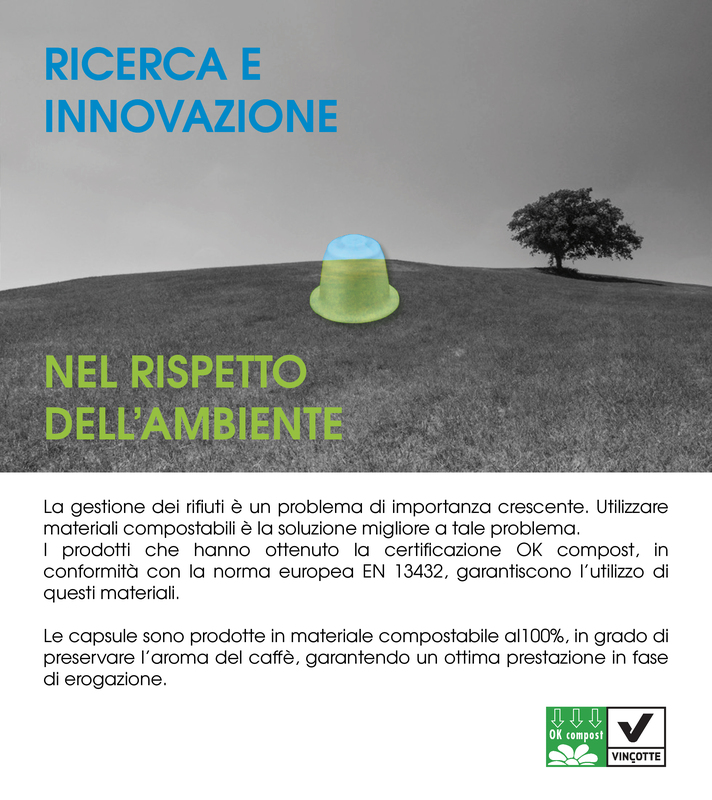 • Realization of compostable formulations able to meet product requirements and ensure good processability by compression and injection molding. • Realization of prototypes of bio-based and compostable coffee capsules on pre-industrial scale by injection and compression molding. • Optimization of molding process parameters in order to maximize the production efficiency without prejudicing the quality standard of the molded items, and demonstrating that the proposed innovation is a concrete alternative to the current plastic materials. • Fine tuning of the final recipe in order to reduce overall costs of the raw materials and improve the compounding process. • Definition of the compounding line at preindustrial scale, including a new and fast quality control of the pellets (via FT-NIR spectroscopy).